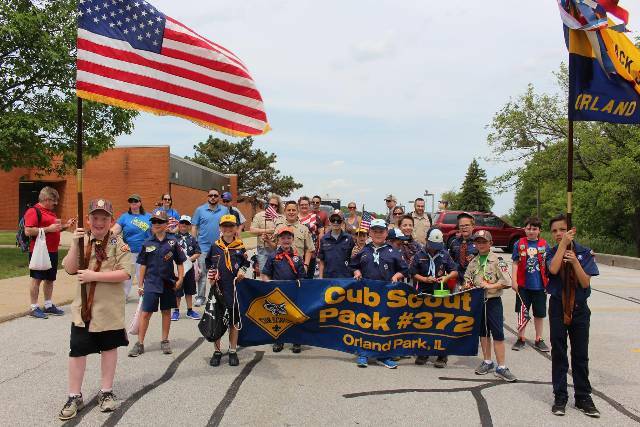 Welcome to Cub Scouts Pack 372 of Orland Park! Our Cub Scout program is a fun and educational experience concerned with values. Besides providing a positive place where boys and girls can enjoy safe and wholesome activities, Cub Scouting focuses on building character, improving physical fitness, teaching practical skills, and developing a spirit of community service. Pack 372 is an energetic Pack that offers a variety of events and learning experiences. Our Parent volunteers provide a fulfilling and prosperous Scouting experience for our Scouts. We are always looking for New Scouts and Parent Volunteers to participate in the Scouting Experience with us. Come join us!